With over 300 languages spoken in Australia and within close proximity to Asia, Australians live in one of the most linguistically diverse places in the world. 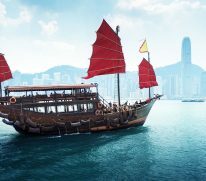 If you are requiring the skills of a professional and reliable interpreter specialising in Cantonese interpreting, then Language Australis should be your first point of contact. All of our interpreters at Language Australis are National Accreditation Authority for Translators and Interpreters (NAATI) certified or recognised, and we are confident that you will experience professional, highly skilled and accurate interpreting. Here at Language Australis we understand how important it can be to use a skilled interpreter who upholds the integrity of your business. The representation of yourself or your company can exclusively rely on the competence and knowledge of the interpreter. We have extensive experience in interpreting at Chinese training sessions, health, education and business meetings. Our interpreters are not only NAATI qualified, but are native [LS1] speakers in both their language of specialty and English. A brief language lesson here: spoken Chinese is categorised into two main groups: Mandarin and Cantonese. Both are tonal languages, which means that the same written word may have a completely different meaning depending on the tone that is used. There are up to six different tones – the rising tone, the fallen tone, the high tone etc. Interpreting the Cantonese language has its own set of challenges that distinguishes it from other languages. Cantonese uses many words that are rarely found in publications other than magazines. This means that the Cantonese interpreter must have a solid understanding of two forms of the language – the official written form (called Traditional Chinese) and the less formal spoken form (Cantonese). And it doesn’t just stop at linguistics! At Language Australis we have interpreters who have a complete understanding of the correct social etiquette and body language that is essential for the business setting in Chinese culture. We provide interpreters who work professionally and combine the correct manners so as to not overstep boundaries. With a wide array of skilled professional interpreters accredited by NAATI at Language Australis, we can assist you in interpreting needs for any type of situation, whether it be personal or business. Contact Language Australis to find out which Cantonese interpreter is most suited to your requirements.